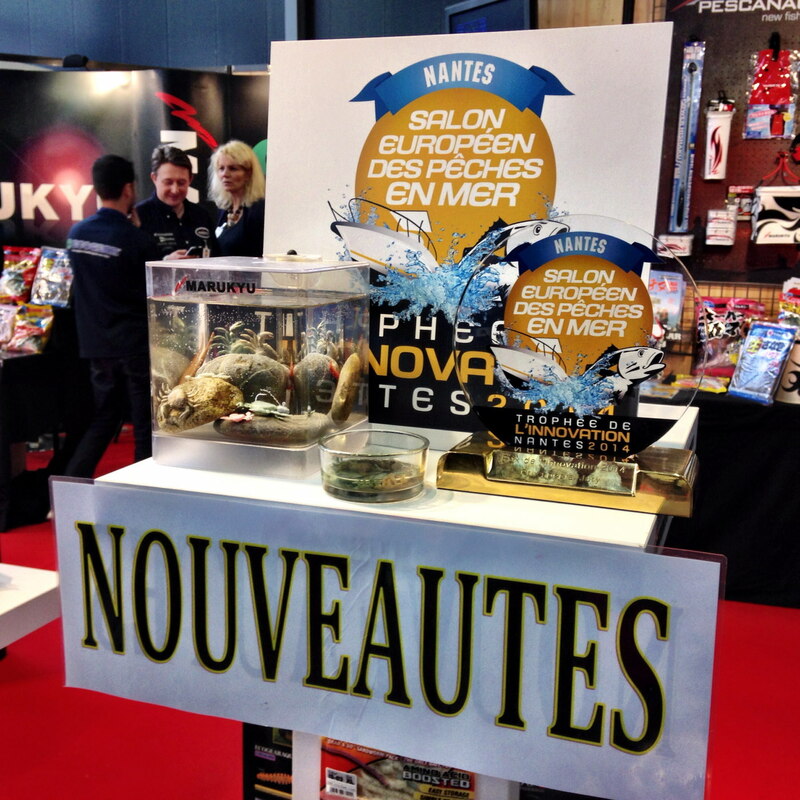 There was an exciting new product launch at the Nantes tackle show - the fantastic looking Marukyu Crab. 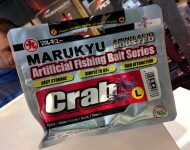 I'd seen a little bit of a preview of Marukyu Crab on Facebook, but I have to say it was much better in real life and I'm not surprised Marukyu won an innovation award for it. The detail and design are exceptional when you consider it's made from a biodegradable material. 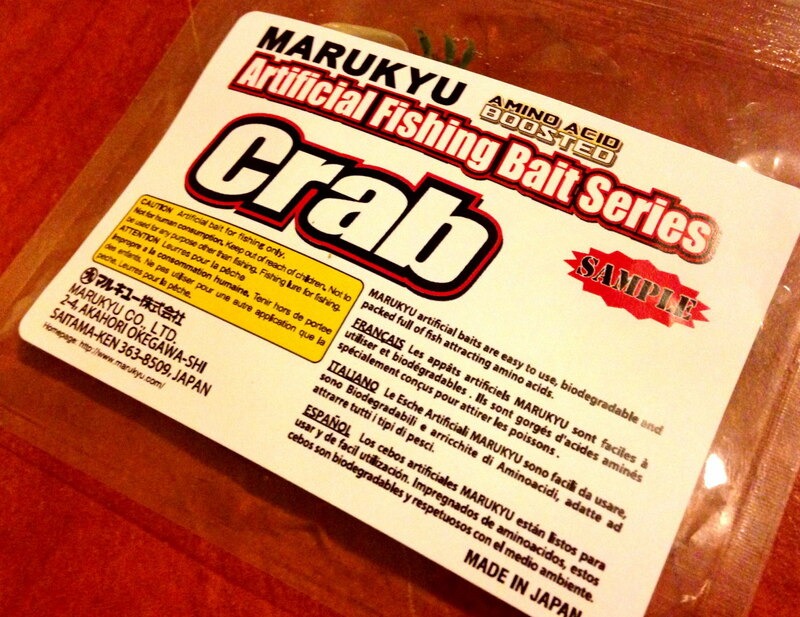 I don't know the complete facts here, but I suggest Crab is made from the same material as Isome - it certainly smells the same (I didn't taste any this time - once bitten...) I spotted three colours - green, pink and brown (although the packaging pictured here mentions purple). As you would expect, there are also different sizes available. 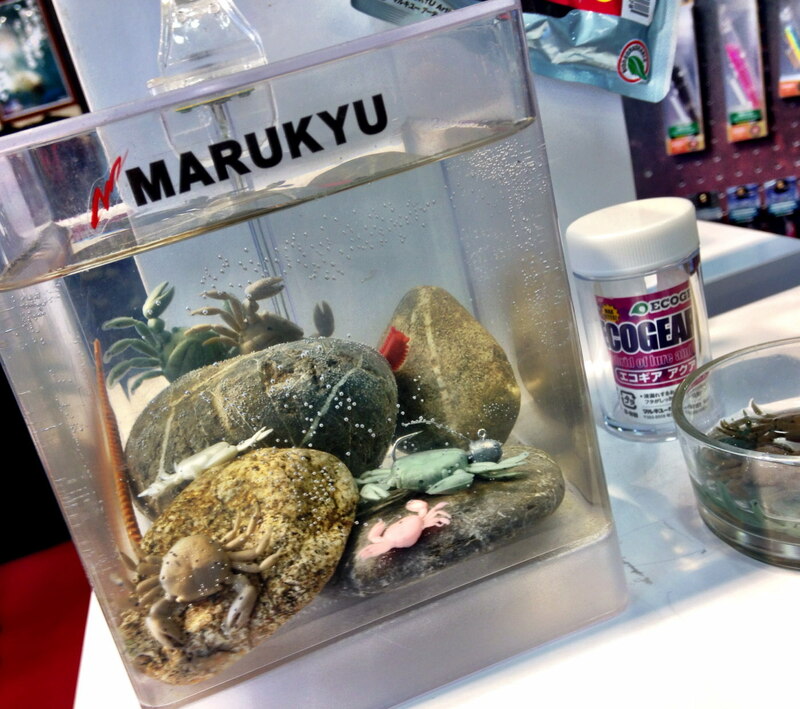 This year, there will be an ongoing (and quite pointless) debate about whether Marukyu Isome and Crab are baits or lures. Regardless, I will be fishing them both as lures (ie with an action). It suits the way I fish - especially in hard conditions. 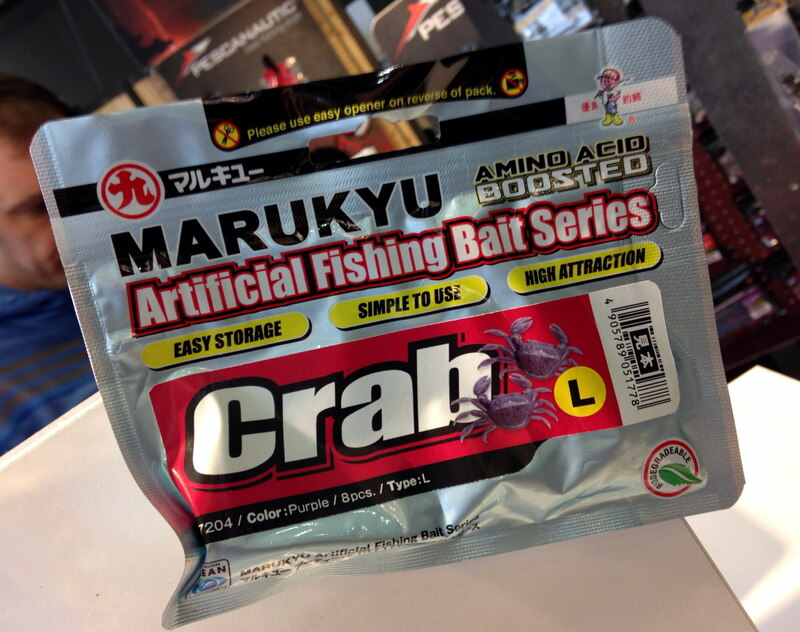 While the addition of a flavoured crab imitation is exciting enough, what I didn't expect was the amazing in-built action of the Marukyu Crab's legs. In one of the demo tanks was a large size Crab mounted on a heavy gauge single hook (point down in this case). The weight of the hook alone was enough to make the creature descend slowly through the water. And as it did so, the legs pulsed enticingly. I could immediately see the real life applications for a bait like this and I look forward to trying them out when they become available. Interestingly, as part of the immediate 'debate' that followed on Facebook, Jake Schogler mentioned that he'd seen Flounder follow hooked crabs (real ones) up to the surface before, as well seeing larger flounders attack crabs. I have seen the former once before - which I presumed was a fluke - when I was fishing the Barbican at night, and I already want to try to replicate this with an artificial. Certainly, if I was going to list one natural prey item that I'd seen in the stomachs of gutted fish again and again, it would be small crab. So hope these become available in the UK soon! 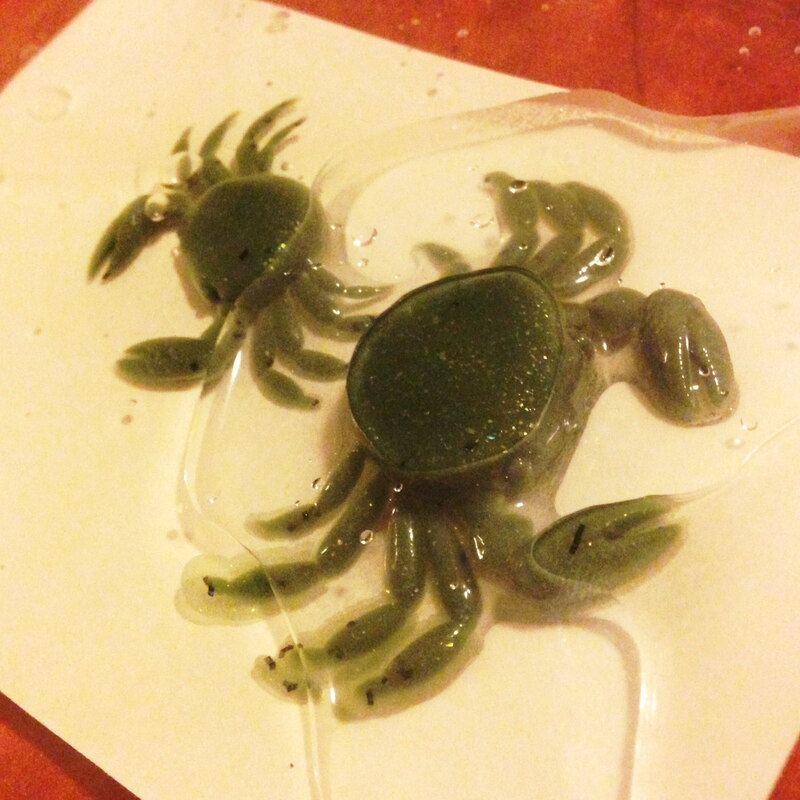 I’ve got a feeling Crab legs and claws could be good by themselves for the mini species when you want to show them something a bit different! Cool. Thanks Codcatcher. I think you’re one of the first people in the UK to try them. 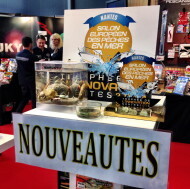 Thanks for the heads up and congratulations on the early success.